This series takes on this classic holiday icon to the most Beautiful places North America has to offer. 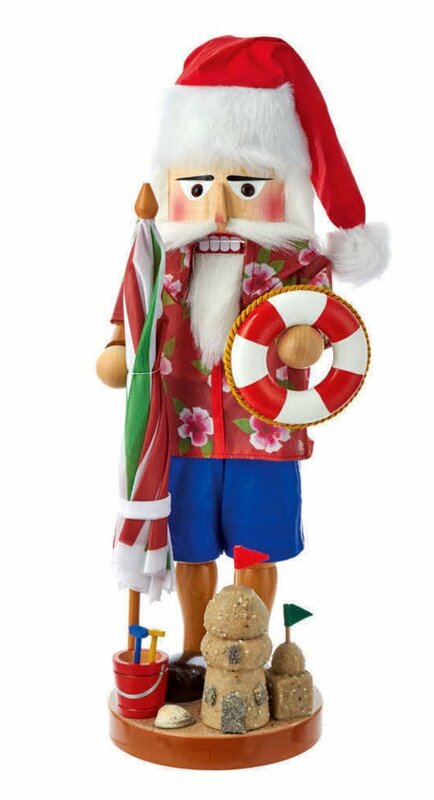 With a refreshing new design, the Beach Santa nutcracker features Santa wearing a beach shirt and swimming shorts. He is holding a stripped raft and a umbrella in his hands. He stands on a brown base decorated with sand castles.